The devs aren’t likely to listen to you either place, just FYI. They are not exactly known for taking suggestions from the community. 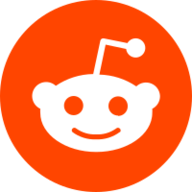 More realistically, driving some traffic here from Reddit would be a way to support us and help us grow this community. You suggested Le skins comeback, that I don’t think will ever come back since they decided to change les to ses so people who missed out could get them so more money could be made off them. The only les now they make are ranked skins which are just gold recolours of the base hero which were put in just to put some reward in the ranked system. I honestly wouldn’t be surprised if at some after a good amount of gold skins made they’d let you buy them. Yea se’s were just a way of pleasing the people who missed out. Since there’s no sun bonus, or rather, no sun at all anymore, they’re really only good fr clout. I dunno they should just make Opals a bit easier to earn cause I doubt SEs are going anywhere. They do need to start making more exclusive skins tho and KEEP them exclusive ._. No would I say the whole currency system needs reevaluating from what I see. It takes too long to get a new hero than other mobas. Opals are worthless besides for skins and they removed the hat chests that used opals. That’s actually the exact opposite of what they ought to do if they want to increase revenue. Limiting the availability of (presumably) desirable skins to a small subset of the player base is not smart. What they have finally realized is that making EVERY new skin available for direct purchase is the way to maximize sales of that skin. It’s also why there’s so little effort put into the “LE” skins – they produce zero income, so there’s no reason to devote much time to them. I’m glad they’re letting players buy skins outright too. That was a constant suggestion I gave in ambassador reports… Hopefully it’s actually been profitable for them. I was wondering the other day - do you think it would be a good idea to make some exclusive skins and gate them behind other skins? For instance, the Battle Pass level 100 recolors. Maybe you could buy those, but only after you’ve unlocked the rest of that hero’s skins? If not all, maybe a set number that makes sense. It would let completionists get their fix, and might encourage some more purchasing among other players too, especially if they did it for skins that weren’t simply recolors. It would be a mixture of our system now and the very first iteration of VG skins, where upper tier skins were gated behind lower ones. And most folks felt like that was a nice sense of progression. Maybe time to tune the market back that way? Maybe you could buy those, but only after you’ve unlocked the rest of that hero’s skins? Do you mean having the other recolors of the skin to get the battlepass skin recolor. Ex: Owning Red and Pink Ice Gwen allows you to get the Black ice Gwen. Yeah, something like that! I don’t know if it’s a good idea, just wondering. The problem with that is completionists won’t like that, and neither do I, for some reason: you can’t still work towards them, so there is no sense of progression, it would felt like the current BP system were you go from 0% to 100% depending on the Bp you get. Oh, Ok i though so. Its a really nice idea. Though it doesn’t really affect me since Im not a completionist. It’s also why there’s so little effort put into the “LE” skins – they produce zero income, so there’s no reason to devote much time to them. Its not that the LE skins are bad, its just the way they (semc) do it thats bad. I’m just using the term ‘completionist’ to mean someone who wants all the content, not necessarily someone who needs to play for it or unlock it through in-game mechanisms. And I guess specifically I’m addressing those battle pass skins that aren’t achievable at all, now that their respective battle passes are completed. Maybe it’s a good idea to open them up for purchase on the condition that certain other skins are purchased first. The reason I think this might be good, financially, is that if a player wants a specific skin but it’s gated behind another, players will have to spend extra to get it (since they have to buy the other skin too). This isn’t functionally different from skins that are RNG chests, since those involve purchasing other content too (glory, opals, boosts, essence, other heroes, other skins, materials… anything in chests). But it is more predictable, since you know exactly what you have to buy and what you can expect. So it still encourages extra purchasing (good for SEMC), while removing RNG (good for players). And I disagree that there’s no sense of progression here, since you’re working your way through something cumulative(acquiring skins to unlock purchase potential of other skins), which is all a progression system, definitionally. It’s not the same as a complex leveling system, I’ll grant you, but it’s a little something. Which depends entirely on RNG thanks to the BP system. Or just discourages them. Honestly, if I had to buy more skins to get one I would just don’t buy it. Skins are already expensive, I don’t think there is any skin with high enough quality to make me pay more. The problem is that getting the skins you need to then get that skin is all RNG based unless you pay ice which becomes stupidly expensive for a skin. I see what you’re saying. Yes, it’s expensive if you want one skin @ ~2600 ice, but have to buy three others at 800 each or whatever. If you think of it as 5000 ice for that one exclusive skin, then for sure, that’s pricey. But it’s 5000 for four, one of which is exclusive and likely uncommon to see in-game. You could also nudge this idea so that exclusive skins are locked behind other skins, or, if you want them outright, you can buy it direct, but at a mark-up, say, 3400 ICE. So, it’s 5000 for four, or 3400 (800 increase) for the exclusive one alone. This would be kind of similar to what they did with the Sparkler Skaarves. 2600 for a pair, or 5000 for gold (+others). Also, that high price - 5000 or so - is already the cost of the skin through the 2% chance RNG boxes. The issue is that the RNG boxes have content in them, which you’re paying for it, and getting a return on your ICE, but it’s not a return that you can predict, so there’s no satisfaction in all those other things you’re buying. I’m trying to reposition that cost from unknown rewards to known rewards, to increase player satisfaction with the content they buy. I think a gated skins system would be better because you know every reward at every step. You can predict how long it’ll take to save up your money, and you have feedback about where you are in the process. That’s true, and it’s something to consider, but it’s not what I’m trying to address with the gated skins idea. (Also, editing to add: I use the term RNG to refer to the act of exchanging currency for a random reward. The blueprint system is just random drops, but without the currency bit (since they exist in chests you earn simply by playing), so I wouldn’t say the blueprint system is RNG, specifically, just luck-based.) Hopefully SEMC can build a system that gives f2p players some stuff they’re happy with, but these last few posts from me were more about finding a way to incentivize some marketplace content in a fun and interesting way that doesn’t exploit players, but still maintains some good profit margins for the company. Even if it’s 5000 for 4 skins, you are taking for granted they want the other 3 skins, when in reality, if someone is paying to get that limited one, it’s the limited one the skin he cares about, so it’s 5000 for the skin. 3400 ice is overpriced IMO (I would even argue 2600 for the current ones it’s). If they do it, i at least would expect and increase in quality, I’m not paying all that for the current ones (none of them) and I have 18k ice. I know it’s the price of those chests, but you already know my opinion about those chests: they have terrible value. The RNG chests have content that most costumers don’t care about, they are opening the chest to get a specific skin. Also the duplicated conversion it’s a rip off. I do still think it’s way too expensive, given that you inevitably have to pay for them or you won’t be able to get it (thanks blueprints). I don’t think this gives stuff to F2P that they are happy with. It would be frustrating to not being able to get the desired skin because you have to obtain before X amount of other skins, which (again) thanks to the current BP system is near impossible to do.